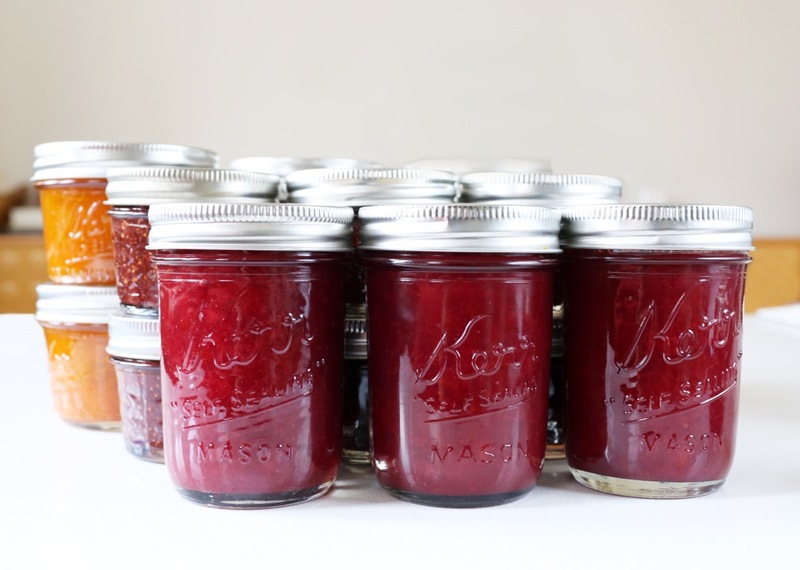 Our cupboards were still overflowing from our 2012 jamming efforts, so I skipped my usual summer canning for 2013. Now, with cupboards bare, I happily resumed my regular summer routine. Since I mostly make jams from fruit we actually pick, the variety was pretty slim this year. Apricots and plums from my mom's trees and farmer's market figs were all that we could manage. Truth be told; these are my favorite, so I wasn't overly disappointed when we missed the ollaileberry and blackberry picking season. I always have an abundance of apricot jam, and I love to give jars as little, unexpected gifts to friends. Some even put in requests ahead of time to ensure they get their fix. One such friend is a graphic designer whose wife has a serious love of my apricot jam. I must admit that this apricot jam is pretty damn tasty…not too sweet with just the right amount of tartness. 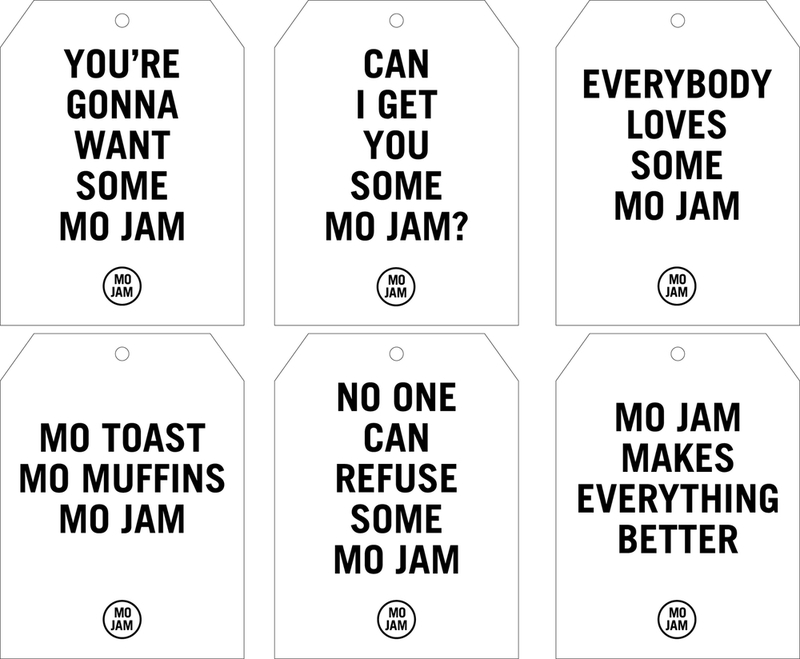 As "payment", he designed the Mo Jam labels and tags for me. The play on words is perfect as is the design! It's so satisfying to plop those kraft circles on each lid. It's the best part of the whole canning process and the cleanest! Producing the labels and tags are pretty easy. I edit the type of preserve in Adobe Illustrator, print and use the Silhouette Connect plug-in to cut the tags directly from Illustrator. The labels I also print directly from Illustrator using the Avery Kraft 22808 paper and template. I'm looking forward to Fall fruits: apples, pears, persimmons and quince! I've included my recipe for apricot jam. I use the same quantities and technique for plum jam, except I add in a cinnamon stick or two during maceration and cooking. Enjoy!! 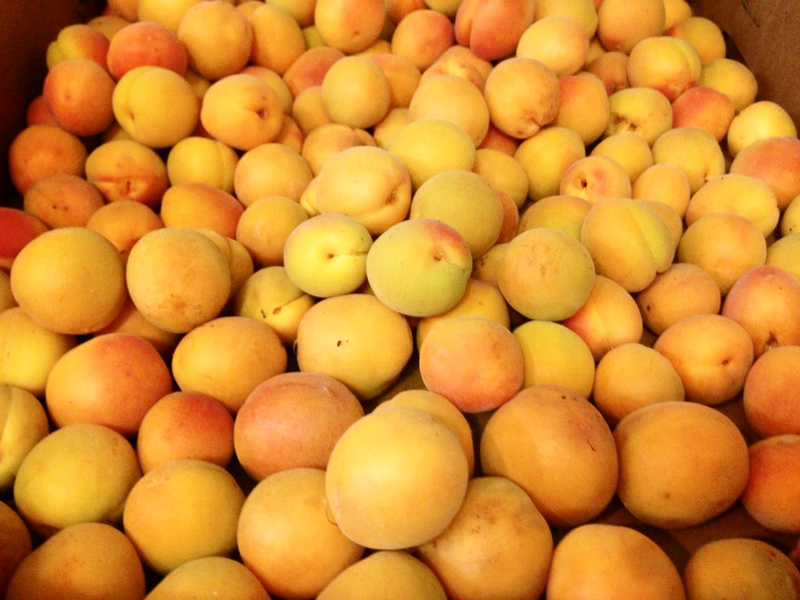 Cut apricots in half, pour sugar and lemon juice over fruit, stir well and place in refrigerator overnight. Cook the apricot mixture in a wide heavy bottom pot for 45 to 50 minutes, skimming off the foam regularly. When the jam starts to thicken, keep your eye on it and stir frequently. I freeze a plate to test “jam consistency”. I put a spoonful of the jam on the plate and let it cool slightly. I run a finger through it to see if it holds it shape and doesn't weep too much. Can the perseveres following proper canning techniques. Visit the USDA Center for Home Preservation for instructions and information. Food in Jars is my favorite site for tips, techniques and recipes.